This is an idea that I haven´t seen before, and wanted to share. 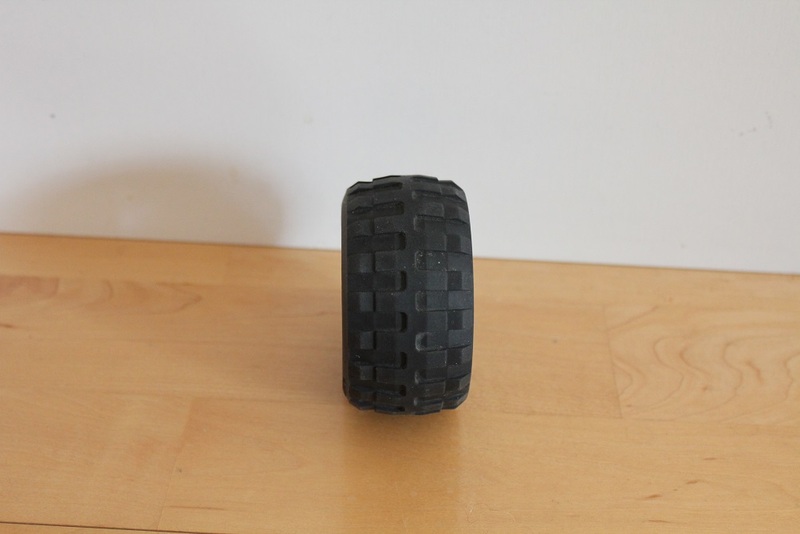 It is the 81.6 x 38 balloon tires stretched on the unimog rim. They are 10 studs in diameter and 5 studs wide. 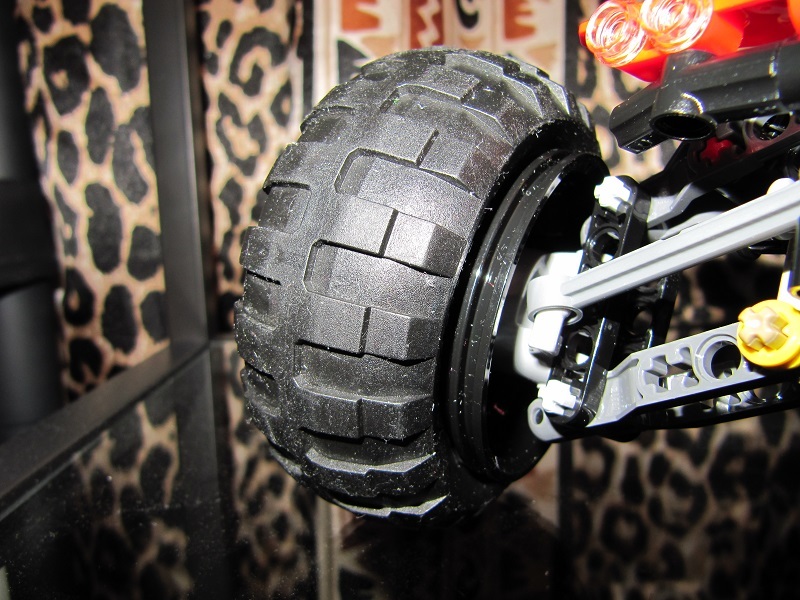 The tires will stretch and become unusable on the normal rim after some time! This is an old idea. But nice of you to come up with it by yourself. 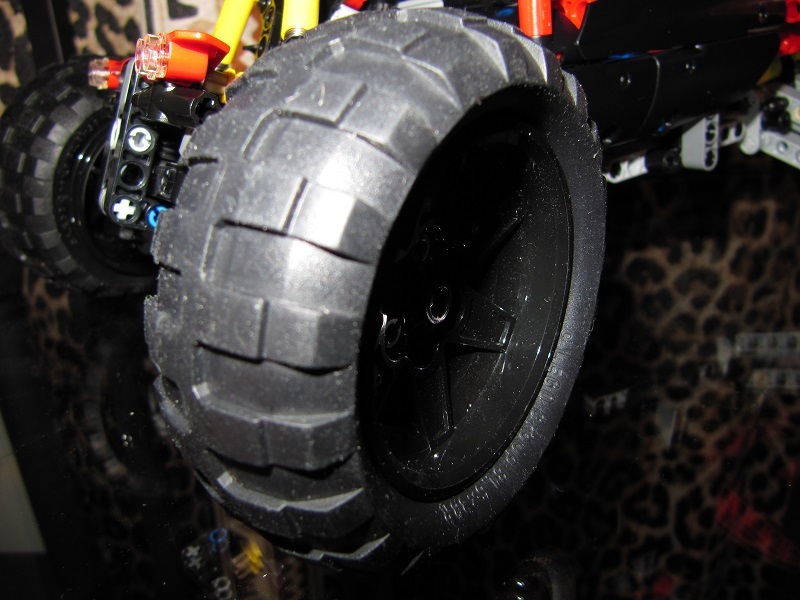 Typically though, when you have large rims with smaller tire walls then you get decreased 4x4 performance. 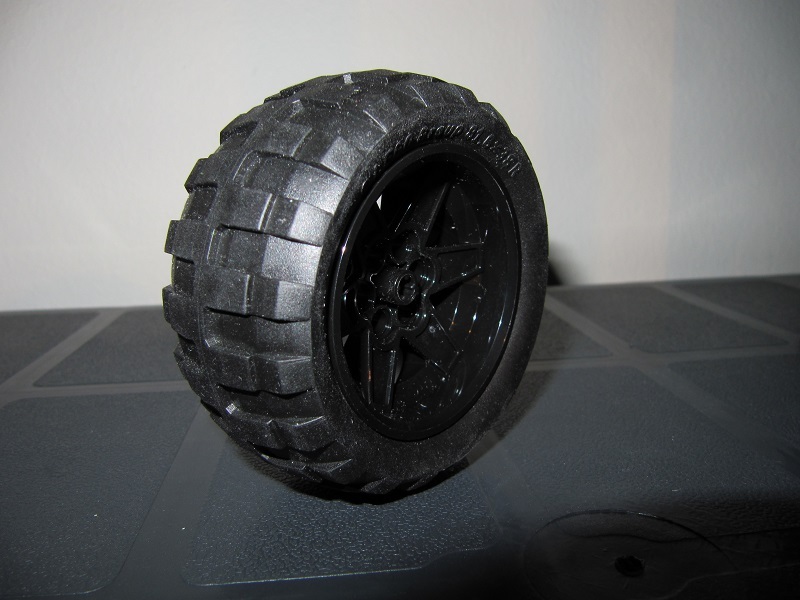 No matter the suspension, you will feel every bump, rock, etc., b/c there is simply no tire and air to absorb differences in terrain. 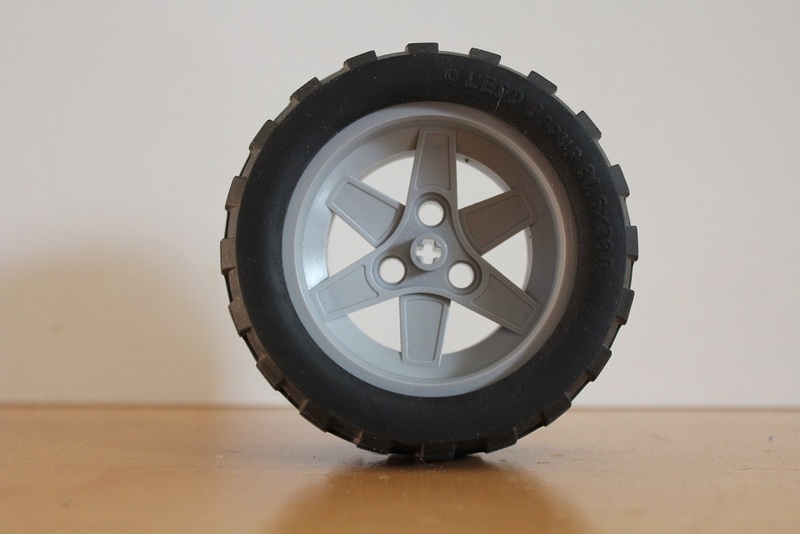 In fact, some auto manufacters won't even sale 4x4's with large rim options. My wife and I recently went shopping for a Jeep Grand Cherokee but wanted the altitude version. We were denied b/c they said these vehicles were not available. 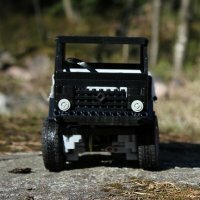 They stated there is no reason to have a 4x4 vehicle with thin tires. 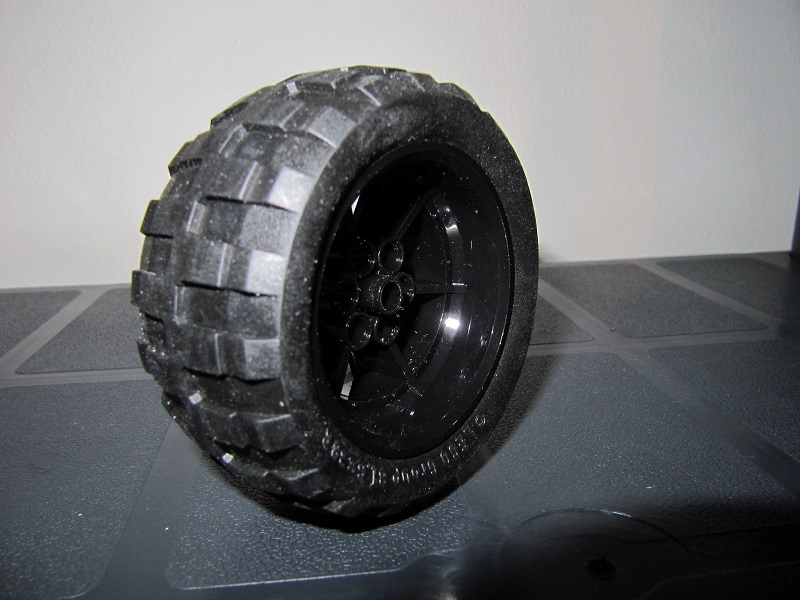 You will damage the rims when you are off-roading. Although I have hence found out the Jeep does, in fact, sell the version you see in this post as a 4x4, the dealerships rationale was sound. 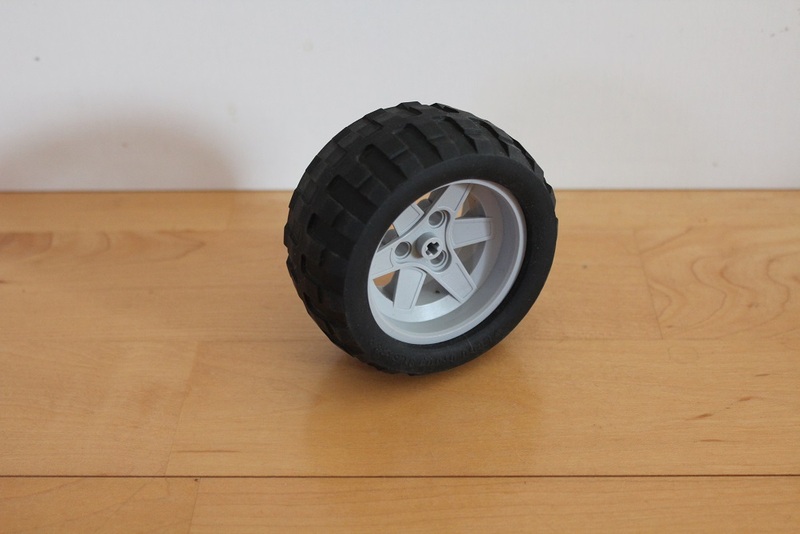 Off-roading with large rims and small tires is not a fun nor recommended practice. The pictures in this post, fitting the said tires on the said rims seem to me to fit that profile. I would not recommned it. Perhaps if the vehicle were, say, like a truck or SUV but more like for city driving and showing, then perhaps (can anyone say Cadillac Escalade? ), but for a "monster truck" I would not advise it.